Category Archives for "Vegetable Garden"
Zucchini is a popular choice for home gardens across the country. Even if you don’t have a garden, you are likely to be gifted a few zucchinis. These plants are known for being prolific growers. However, there are some zucchini growing problems you may face with your plants. 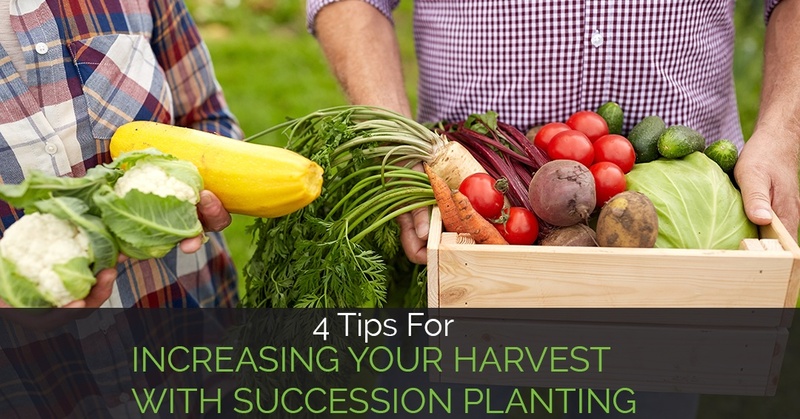 Once you start learning how to vegetable garden, it is time to know about tips for increasing harvest in your vegetable garden with your succession planting. Even if you live in an area with a shorter growing season, utilizing quick growing crops helps to keep your garden busy all season long. Gardening is an empowering and relaxing hobby and practice for adults, as well as kids. While you might be tempted to tell your kids to move along and find something else to do, some of my best memories come from spending time gardening with my children. They are beautiful memories that I will cherish throughout my lifetime. Is The Myth Of Male And Female Bell Peppers Actually True? Have you ever noticed some bell peppers have four lobes while others only have three lobes? Many people believe that peppers that have four lobes are considered a female, and three lobes indicate that the bell pepper is male. If you spend any time on social media, there is a good chance you’ve heard this theory bounced around. There are many claims and myths about male and female bell peppers. Some people believe female peppers are sweeter and contain more seeds. Other people claim you should only use a three-lobed pepper if you want to make grilled fajitas. Could these theories actually be true? Let’s take a look at what is true and what you need to know about bell peppers! Tomatoes are an iconic plant for all gardeners. Beginners can start a few tomato plants with ease and have a delicious bounty. Expert gardeners grow dozens of varieties to sell at farmers’ markets. Summer means tables full of tomatoes in salads. Summer brings an abundant harvest of tomatoes, canning hundreds of jars of delicious sauce and diced tomatoes for the winter. If you are looking for the best tomatoes to grow, you need to try heirloom tomatoes. After years of using the conventional seeds and plants found in stores, I switched to heirloom seeds. I never looked back again! Now, my harvest is full, and the tomatoes I grow are unique and flavorful in comparison to other types.